As the weather in Dallas starts to pick up, I’m already daydreaming about the prettiest places in Texas. Spring is in the air. Flowers are blossoming in the fields. And even though I’m 2,300 miles from Forks, Washington, I’m ready for my Bella rolling in the meadow moment. Spring is a fairytale season. I know I sound mushy and sappy right now, but I can’t lower my excitement levels. This winter has been long, rainy, and cold (New Yorkers, feel free to laugh). And my beach girl heart is longing for a little sunshine. 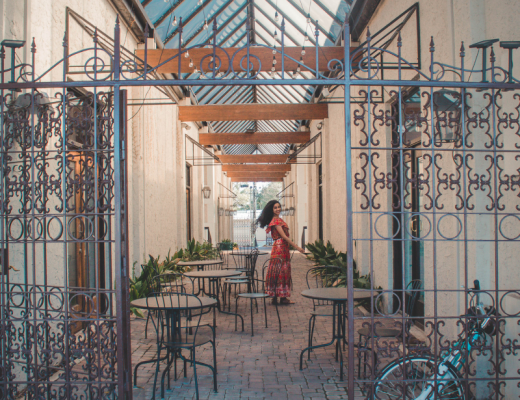 Today, I’m whisking you away to a few of my favorite sunny springtime spots. 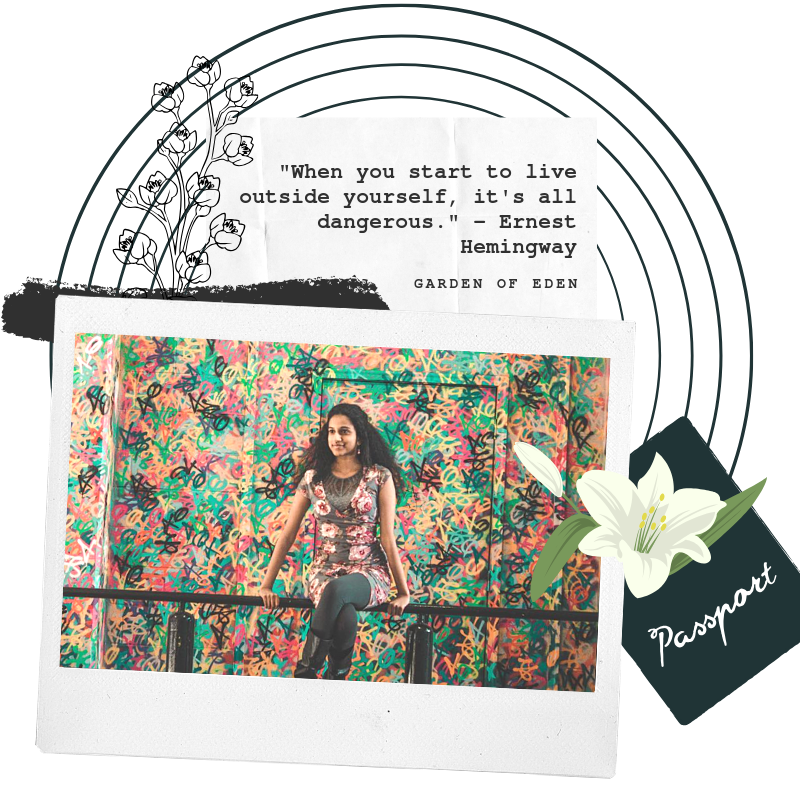 We’ll prance through fields of bluebonnets (note: no flowers were hurt in the making of this article). 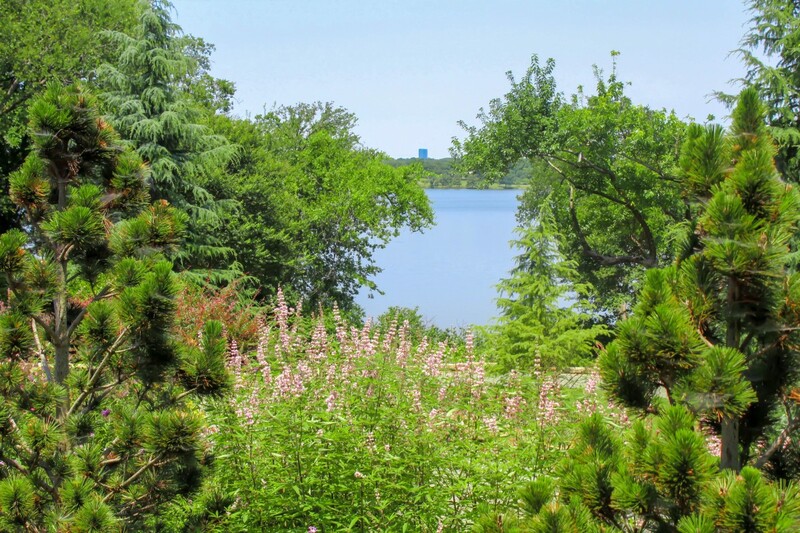 We’ll stroll through lush botanical gardens. We’ll even spend a few quiet evenings reading in a park. Sigh. I sound like a Hallmark trailer voiceover. So let me step back and allow my inner tour guide take over. 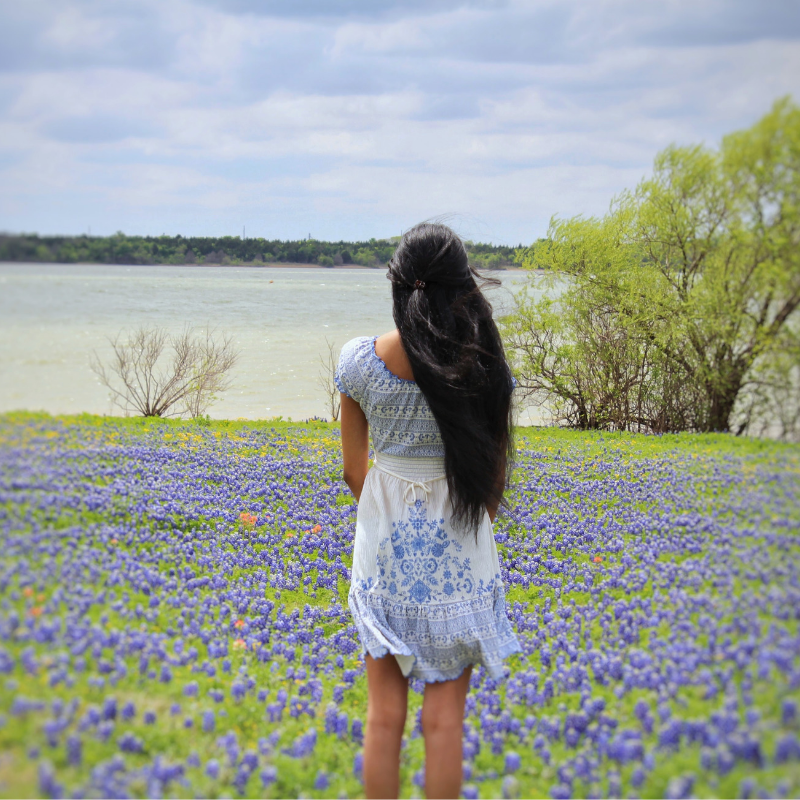 Without further ado, here are the ten prettiest places in Texas to visit this spring. The Dallas Arboretum feels like an old friend. A maze of warm tones, backdrops of green, and wide welcoming paths, the Arboretum is 66 acres of Snow White style fairytale bliss. 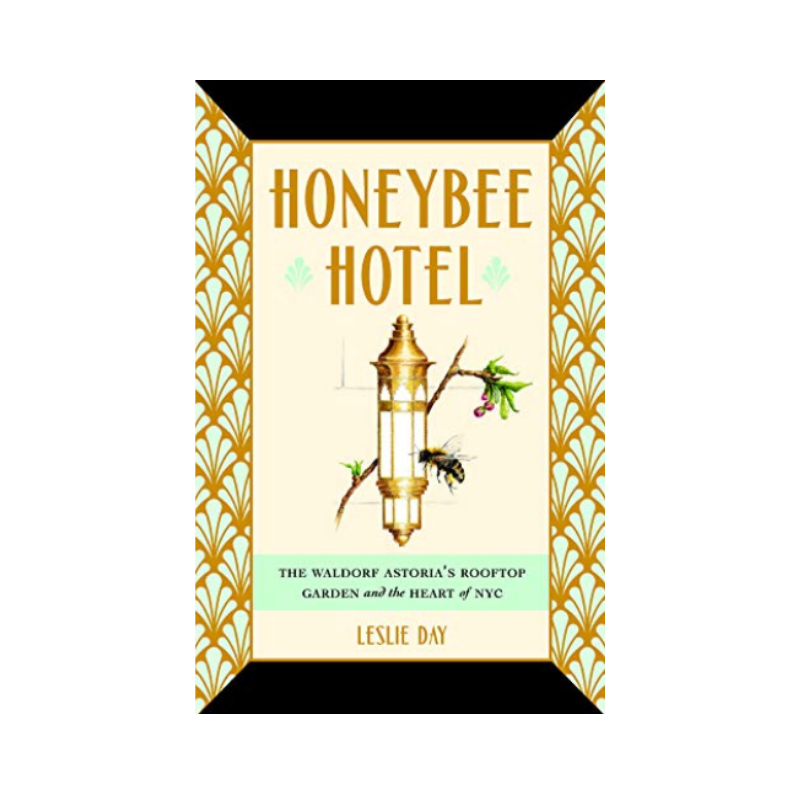 Every twist, turn, nook, and cranny has the ability to make you feel like you’re walking on cotton candy. The experience is light and ethereal. The entire Arboretum is impossible to see in a day. It’s the kind of place that you have to stroll around, eat a picnic lunch, stroll around some more, and bookmark for another trip. Unfortunately, ticket prices are expensive in the spring ($17 plus parking), but with over twenty uniquely designed gardens, the cost is worth a two-time splurge. 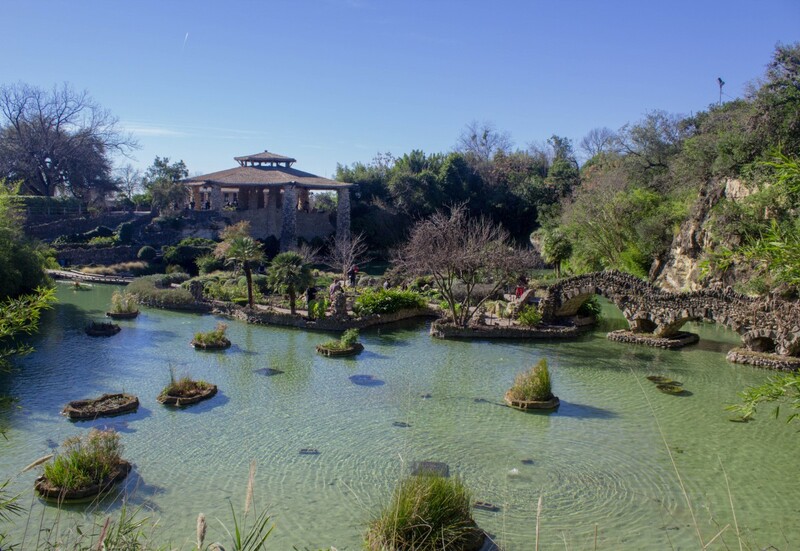 When I say the Japanese Tea Garden in San Antonio is one of the prettiest places in Texas, I’m doing the area a complete disservice. No amount of words can describe the emotions the Tea Garden stirs – surprise, awe, happiness (in that order, looped). The Tea Garden has the powers of a fairy godmother. 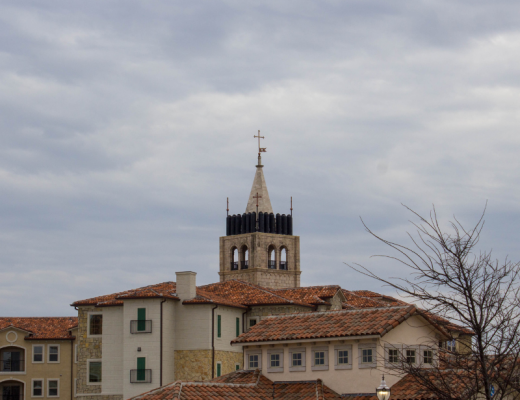 This tiny space transports you out of Texas and into a surreal new world. The garden is free to visit year-round. I actually visited in the dead of winter and even then, it felt like a breath of spring. Once bluebonnet season kicks into full bloom, Texans make a mad dash for Hill Country. But there’s a smaller hidden park in Ennis (the self-proclaimed bluebonnet capital of Texas) which (pre-festival and post-festival) hums silence. Meadow View Nature Area skirts Lake Bardwell, a popular fishing nook sporting a permanent stormy, Dracula look. 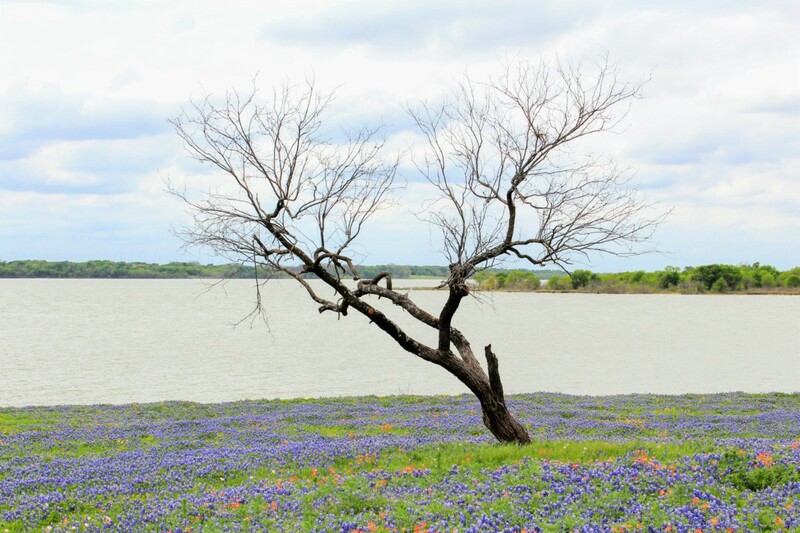 The juxtaposition of the dreary gray water and cheery bluebonnets makes for a photography dream. The whole strip is blanketed in blue and red. If I had to rank this list of prettiest places in Texas in the spring, Meadow View Nature Area without a doubt would claim the top spot. 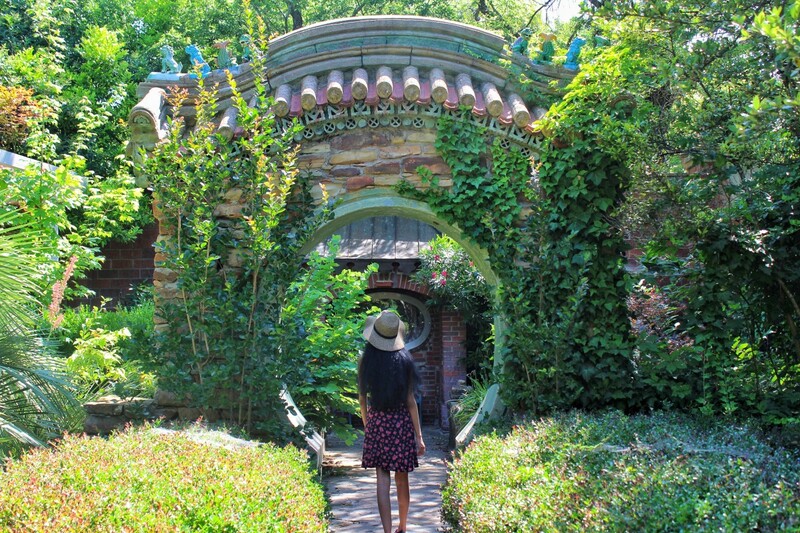 The brainchild of critically acclaimed artist Douglas Chandor, Chandor Gardens in Weatherford is a fusion of traditional English landscaping and Asian motifs. The garden has a humble natural, earthy vibe (this sentence brought to you by: my inner hipster). Chandor Gardens flaunts a love of bright colors. Popping reds and greens and blues command the walkways. Surprisingly, the gardens are still a secret. 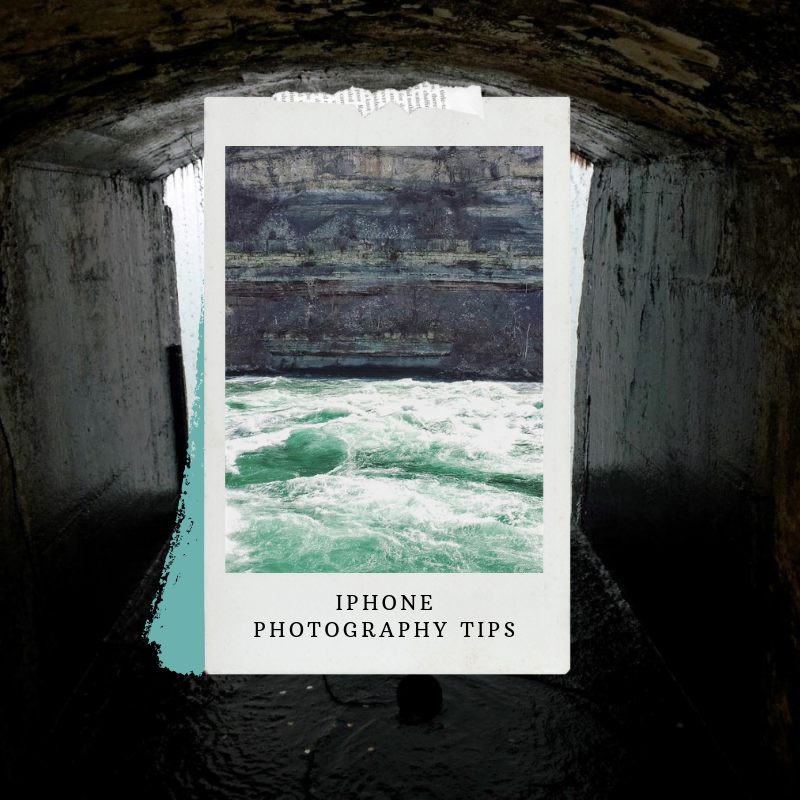 Tucked away in small-town Texas, the spot is mostly hidden from the camera-hungry eyes of social media. But it’s that calm quiet stillness that makes Chandor Gardens one of the prettiest places in Texas. A unique wildflower nursery, Wildseed Farms is a mix of indoor and outdoor spring entertainment. You can purchase wildflower seeds (y’all, I had no idea there were so many varieties of wildflowers) or just stroll through the wildflower trails around the farm. Within Wildseed Farms is Brewbonnet Biergarten, a cozy guest area. Order their peach ice cream. The flavor, defined by locally grown peaches, is very sweet and subtle. 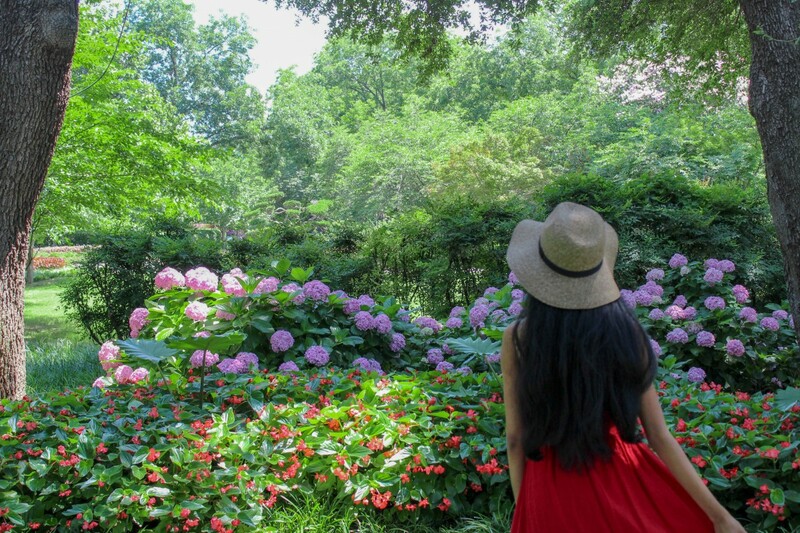 I haven’t visited the Tyler Rose Garden yet, but my mum (a gardening fanatic) says it’s one of the prettiest places in Texas so I had to include it on this list. The Tyler Rose Garden is a multi-sensory experience. 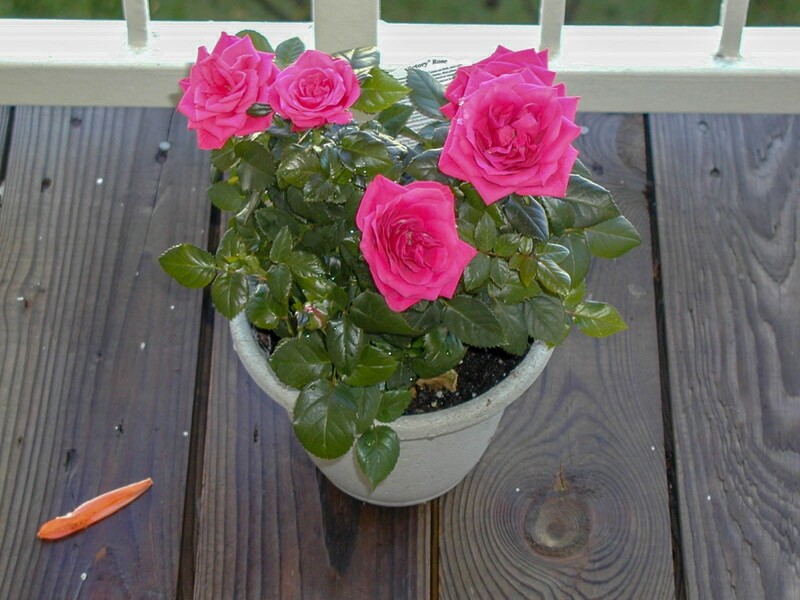 The rich scent of roses, soft palette, and detailed water fountains are warm and inviting. Even though the annual rose festival is in October, in the spring, when azaleas are also in bloom, the garden is a sheet of pink. 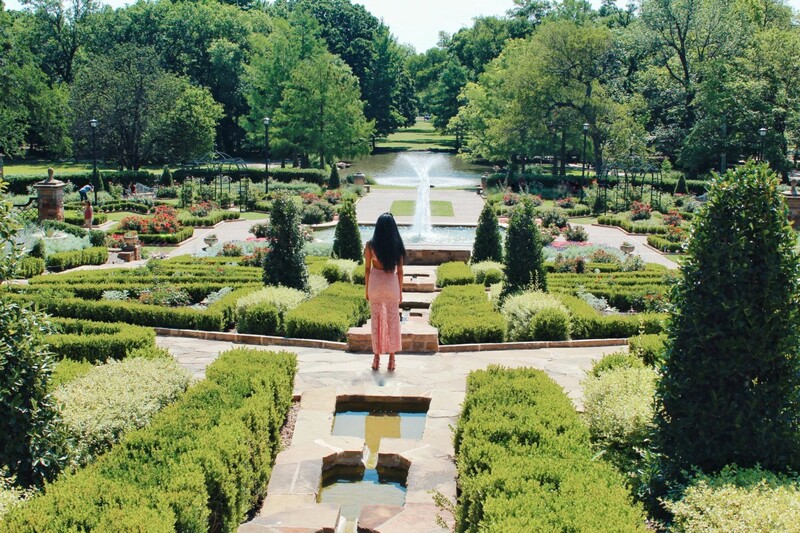 The oldest garden in Texas, the Fort Worth Botanic Garden is pretty as a picture. The Garden isn’t as dense as the Dallas Arboretum but it’s a scenic walking area that feels more like a landscaped jogging path, manicured but not defined. I love the inclusion of native Texas plants. And for some reason, whenever I visit, I feel like I’m sliding through an episode of Rosemary & Thyme. 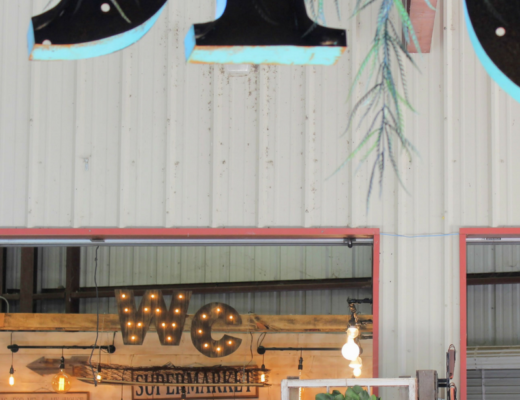 If you’re a fan of Chip and Joana Gaines, you’ve heard of Magnolia Silos, part business-venture, part community get-together in Waco, Texas. Magnolia Seed & Supply Co. sidelines the Silos. 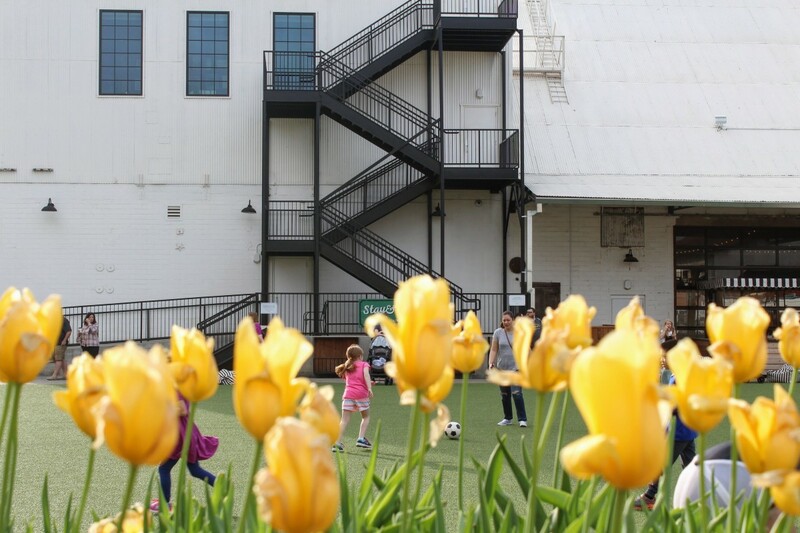 And in spring, when the tulips are in full bloom, the Silos rustic but chic aesthetic (a Joana Gaines trademark) fully comes together. 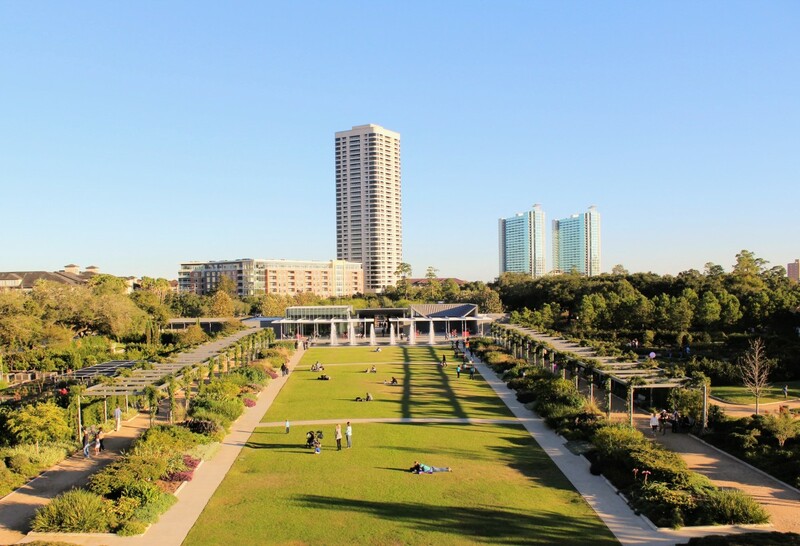 Hermann Park is laid back and modern, bustling and quiet, high-end and homey. It’s a place of anomalies, beauty, and innovation. The main entrance to the gardens is designed by Peter Brohlin (who also designed the Apple Store on Fifth Avenue). As we walk around, we notice the variety of plants and landscaping. There are ten main gardens in Hermann Park. My personal favorites are the arid garden (a dense spot of desert plants) and the Pergola Walk (an urban oasis). Mayfield Park is a volunteer-run space famous for its peacocks and peahens. The peafowl at Mayfield Park are free roaming but choose to lounge in the open gardens like the true kings and queens they are. 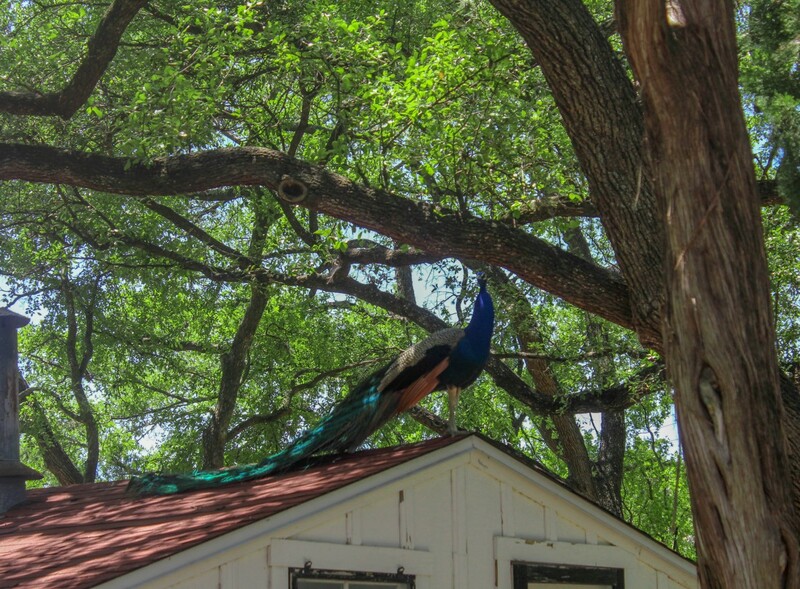 And spring is mating season so peacocks fan their feathers to (hopefully) attract peahens. Before we get out of the car, I settle into my headphones. Strolling through Mayfield Park while listening to an actual fairytale score is a dream come true (now playing: A Dream Is A Wish Your Heart Makes). 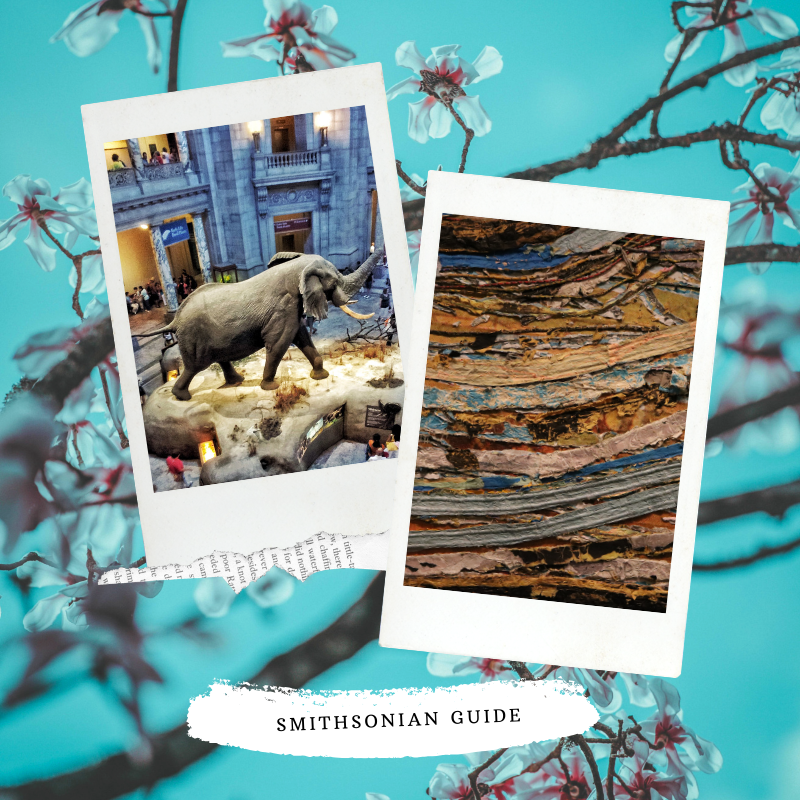 Did you enjoy this post on the prettiest places in Texas to visit in the spring? 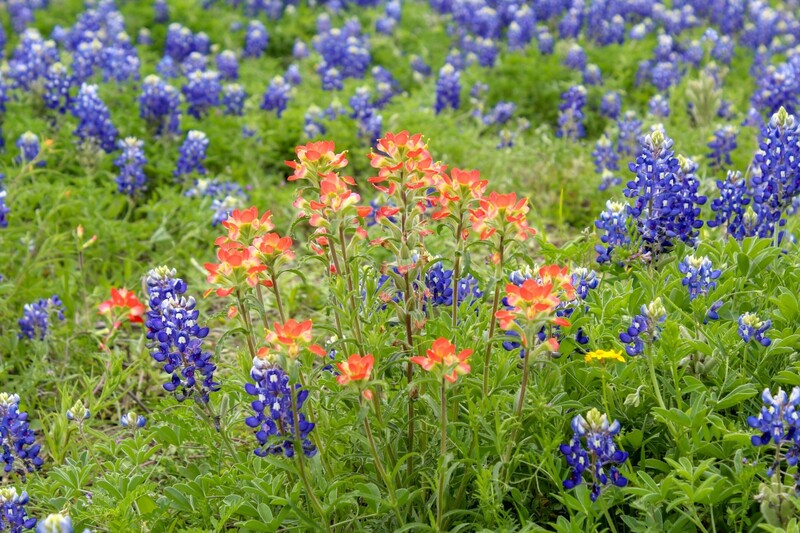 What are your favorite springtime spots in Texas? Let me know in the comments below! I love hearing from you! Great post!! I love traveling. I definitely have to tell my friends about this post. Thanks for sharing this valuable information. After reading this post, i want to visit Texas. I start the plan for visiting these places in Texas. 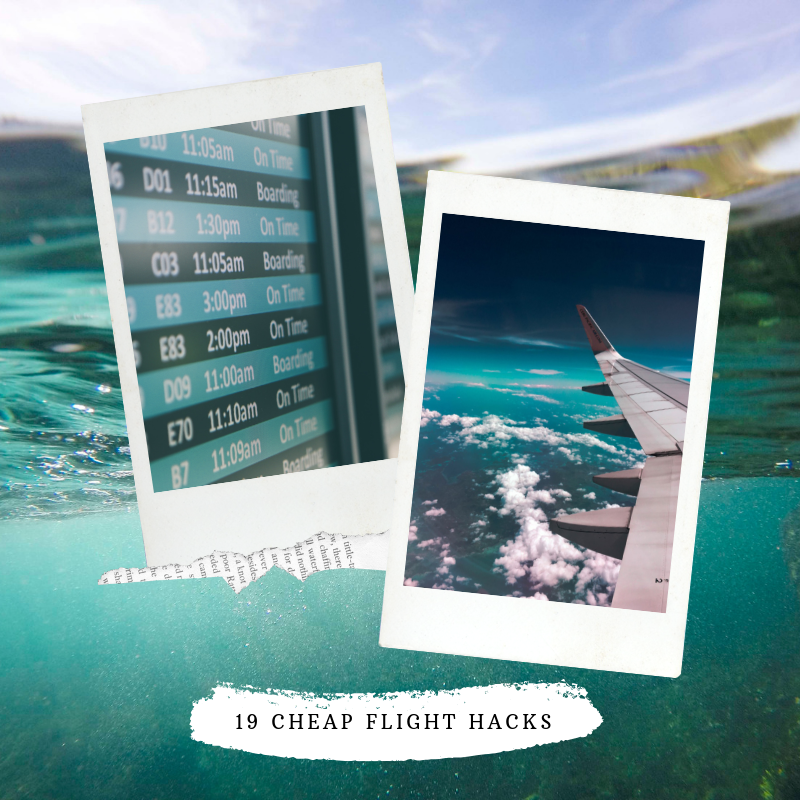 Most of the time i used lowest air ticket for my travel. oh wow these places all look so beautiful! thanks for sharing!